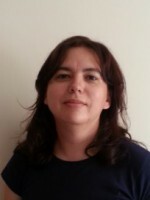 PhD in Biological Engineering, New University of Lisbon (2004). BSc in Chemical Engineering, Biotechnology, Technical University of Lisbon (1997). Production of biopolymers by mixed cultures and pure cultures: optimization and process control, identification of the microorganisms evolved, polymer characterization, downstream process optimization. Anaerobic digestion for the production of volatile fatty acids: use of industrial wastes as substrates. Bioethanol production from wastes by yeast: optimization of process control by controlling the oxygen supply. Microbial biosurfactant production by strains isolated from contaminated soil. Bacterial cellulose production from synthetic and real substrates. Fabio P. Gomes, Nuno H. C.S. Silva, Eliane Trovatti, Luisa S. Serafim, Maria F. Duarte, Armando J.D. Silvestre, Carlos Pascoal Neto, Carmen S.R. Freire, Biomass and Bioenergy, 55, 205-211. “DESIGN IONIC-LIQUID-BASED AQUEOUS BIPHASIC SYSTEMS WITH CONTROLLED PH: THE IONIC LIQUID ANION EFFECT” (2012). S.P.M. Ventura, S.G. Sousa, M.G. Freire, L.S. Serafim, Á.S. Lima, J.A.P. Coutinho; Journal of Chemical and Engineering Data, 57, 507-512. “BIOLOGICAL TREATMENT OF EUCALYPT SPENT SULPHITE LIQUORS: A WAY TO BOOST THE PRODUCTION OF SECOND GENERATION BIOETHANOL” (2012). S.R. Pereira, S. Ivanusa, D.V. Evtuguin, L.S. Serafim, A.M.R.B. Xavier; Bioresource Technology, 103, 131-135. “IONIC LIQUID BASED AQUEOUS BIPHASIC SYSTEMS WITH CONTROLLED PH: THE IONIC LIQUID CATION EFFECT” (2011). S.P.M. Ventura, S.G. Sousa, M.G. Freire, L.S. Serafim, Á.S. Lima, J.A.P. Coutinho; Journal of Chemical and Engineering Data, 56, 4253-4260. “DESIGN OF IONIC LIQUIDS FOR LIPASE PURIFICATION” (2011). S.P.M. Ventura, S.G. Sousa, M.G. Freire, L.S. Serafim, Á.S. Lima, J.A.P. Coutinho; Journal of Chromatography B, 879, 2679-2687. “GLUCONACETOBACTER SACCHARI: AN EFFICIENT BACTERIAL CELLULOSE CELL-FACTORY” (2011). E. Trovatti, L.S.Serafim, C.S.R. Freire, A.J.R. Silvestre, C.P. Neto; Carbohydrate Polymers, 86, 1417-1420. “UTILIZATION OF RESIDUES FROM AGRO-FOREST INDUSTRIES IN THE PRODUCTION OF HIGH VALUE BACTERIAL CELLULOSE” (2011). P. Carreira, J.A.S. Mendes, E. Trovatti, L.S.Serafim, C.S.R. Freire, A.J.R. Silvestre, C.P. Neto; Bioresource Technology, 102, 7354-7360. “THE INFLUENCE OF PROCESS PARAMETERS ON THE CHARACTERISTICS OF PHA PRODUCED BY MIXED CULTURES” (2008). L.S. Serafim, P.C. Lemos, C. Torres, M.A.M. Reis, A.M. Ramos; Macromolecular Bioscience 8(4), 355-366. “MICROBIAL CHARACTERISATION OF POLYHYDROXYALKANOATES STORING POPULATIONS SELECTED UNDER DIFFERENT OPERATING CONDITIONS USING A CELL-SORTING RT-PCR APPROACH” (2008). P.C. Lemos, C. Levantesi, L.S. Serafim, S. Rossetti, M.A.M. Reis, V. Tandoi; Applied Microbiology and Biotechnology 78(2), 351-360. “METABOLIC MODELLING OF POLYHYDROXYALKANOATES COPOLYMERS PRODUCTION BY MIXED MICROBIAL CULTURES” (2008). J.M.L. Dias, A. Oehmen, L.S. Serafim, P.C. Lemos, M.A.M. Reis, R. Oliveira; BMC Systems Biology 2:59. “STRATEGIES FOR PHA PRODUCTION BY MIXED CULTURES AND RENEWABLE WASTE MATERIALS” (2008). L.S. Serafim, P.C. Lemos, M.G.E. Albuquerque, M.A.M. Reis; Applied Microbiology and Biotechnology 81(4), 615-628. “SYNTHESIS OF POLYHYDROXYALKANOATES FROM DIFFERENT SHORT-CHAIN FATTY ACIDS BY MIXED CULTURES SUBMITTED TO AEROBIC DYNAMIC FEEDING” (2006). P.C. Lemos, L.S. Serafim, M.A.M. Reis, Journal of Biotechnology 122(2), 226-238. “MICROBIAL COMMUNITY ANALYSIS WITH A HIGH PHA STORAGE CAPACITY ” (2006). L.S. Serafim, P.C. Lemos, S. Rossetti, C. Levantesi, V. Tandoi, M.A.M. Reis; Water Science and Technology 54(1), 183-188. “RECENT ADVANCES IN POLYHYDROXYALKANOATE PRODUCTION BY MIXED AEROBIC CULTURES: FROM THE SUSBTRATE TO THE FINAL PRODUCT” (2006). J.M.L. Dias, P.C. Lemos, L.S. Serafim, C. Oliveira, M. Eiroa, M.G.E. Albuquerque, A.M. Ramos, R. Oliveira, M.A.M. Reis; Macromolecular Bioscience 6(11), 885-906. “ MATHEMATICAL MODELLING OF A MIXED CULTURE CULTIVATION PROCESS FOR THE PRODUCTION OF POLYHYDROXYBUTYRATE” (2005). J.M.L. Dias, L.S. Serafim, P.C. Lemos, M.A.M. Reis, R. Oliveira, Biotechnology Bioengineering 92(2), 209-222. “OPTIMISATION OF POLYHYDROXYBUTYRATE PRODUCTION BY MIXED CULTURES SUBMITTED TO AEROBIC DYNAMIC FEEDING CONDITIONS” (2004). L.S. Serafim, P.C. Lemos, R. Oliveira, M.A.M. Reis Biotechnology Bioengineering, 86(2), 145-160. “POLYHYDROXYALKANOATES PRODUCTION BY ACTIVATED SLUDGE IN A SBR USING ACETATE AND PROPIONATE AS CARBON SOURCES” (2004). P.C. Lemos, L.S. Serafim, M.A.M. Reis, Water Science and Technology 50(10), 189-194. “METABOLIC PATHWAY FOR PROPIONATE UTILISATION BY PHOSPHORUS ACCUMULATING ORGANISMS IN ACTIVATED SLUDGE: 13C-LABELLING AND IN VIVO NMR” (2003). P.C. Lemos, L.S. Serafim, M.M. Santos, M.A.M. Reis, H.Santos. Applied Environmental Microbiology, 69 (1),241-251. “PRODUCTION OF POLYHYDROXYALKANOATES BY MIXED MICROBIAL CULTURES” (2003). M.A.M. Reis, L.S. Serafim, P.C. Lemos, A.M. Ramos, F.R. Aguiar, M.C.M. van Loosdrecht; Bioprocess Biosystem Engineering, 23 (5), 377-385. “METHODS FOR DETECTION AND VISUALIZATION OF INTRACELLULAR POLYMERS STORED BY POLYPHOSPHATE-ACCUMULATING MICROORGANISMS” (2002) L.S. Serafim, P.C. Lemos, C. Levantesi, V. Tandoi, H. Santos, M.A.M. Reis; Journal of Microbiological Methods, 51(1), 1-18. “CHANGE IN METABOLISM OF PHA ACCUMULATION BY ACTIVATED SLUDGE MODIFYING OPERATING CONDITIONS” (2002) L.S. Serafim, P.C. Lemos, M.A.M. Reis; Water Science and Technology, 46(1-2), 353-356. “EFFECT OF PH CONTROL ON EBPR STABILITY AND EFFICIENCY” (2002). L.S. Serafim, P.C. Lemos, M.A.M. Reis; Water Science and Technology, 46 (4-5), 179-184. “ANALYSIS OF THE MICROBIAL COMMUNITY STRUCTURE AND FUNCTION OF A LABORATORY SCALE ENHANCED BIOLOGICAL PHOSPHATE REMOVAL REACTOR” (2002). C. Levantesi, L.S. Serafim, G.R. Crocetti, P.C. Lemos, S. Rossetti, L.L. Blackall, M.A.M. Reis, V. Tandoi; Environmental Microbiology, 4 (10), 559-569.